Binance Coin, a widely-used utility token issued by Binance, was one of the best performing cryptocurrencies of 2019. Despite BNB’s impressive Q1 performance, Nick Tomaino, founder of crypto venture fund 1confirmation, thinks it’s the right time to short. During the first three months of 2019, Binance Coin (BNB) was arguably the best performing cryptocurrency. From the beginning of January to the end of March, BNB went from $6.02 to $17.29 based on aggregated CoinMarketCap data—a 187 percent increase. Notably, the performance of Binance Coin is almost a perfect mirror of BTC’s performance, with a greater positive beta relative to BTC. For example, if BTC goes up 2 percent then BNB may go up 4 percent. However, recently, bitcoin’s recent bull run seems to have decoupled the relationship between BNB and BTC. The price of BNB has been relatively flat over the last few days, reflecting the sentiment that exchange coins tend to do better during bear markets. Furthermore, each BNB went from trading at a high of over 0.043 BTC to 0.037 BTC per coin. Over the last week, Bitcoin is up 25.2 percent while Binance Coin is up 10.6 percent. Tomaino, a former Coinbase employee, believes shorting cryptocurrencies is a “losing game.” However, he argued that Binance’s only succeeded because of its business model of “regulatory arbitrage” and its “minimal” know-your-customer (KYC) requirements. In addition to highly flexible trading limits and a strategy of “aggressively” adding new cryptos, these few factors have allowed the exchange to enter the market and gain 40 percent market share in less than two years, suggested Tomaino. Yet, Tomaino asserts that Binance was able to capture this market share while offering a “poorly designed product.” He blasted the company on Twitter for a user experience that is “worse than many decentralized exchanges” (which are notorious for being hard to use) and for the exchange’s failure to meaningful contributions to the crypto space. Tomaino goes on to argue that BNB is essentially competing with Bitcoin since the ‘business model’ of both coins is regulatory arbitrage. However, unlike Binance, the world’s most dominant cryptocurrency protocol cannot be shut down because of its decentralization. An exchange, on the other hand, can be in instances of new regulations or a catastrophic hack. With BNB competing with Bitcoin, Binance “does not enable anything new,” said Tomaino. That said, there still is a bullish case for BNB token. Tomaino argues that if Binance continues to maintain its dominance in the cryptocurrency exchange industry then the token will likely succeed. 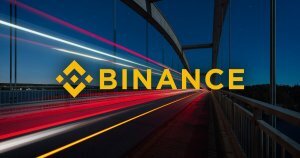 This is contingent on Binance evolving with improvements in decentralized exchange (DEX) services, Tomaino said. Presenting a counter-argument to Tomaino’s assertions, Dovey Wan—a “market cycle agonistic” investor and partner at crypto fund Primitive Ventures—stated that regulatory arbitrage is an oversimplified way to explain Binance’s business model. 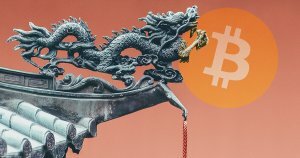 Wan explained that the majority of digital asset exchanges founded by Asian entrepreneurs are operating a business model similar to Binance. For example, Wan noted that Huobi Global, KuCoin, and Upbit were all operating with minimum KYC/AML requirements and that they were also aggressively listing new coins in an attempt to generate more revenue, much like Binance. Instead, Wan asserts that cryptocurrency exchanges only need three competitive advantages to succeed: robust security, adequate liquidity, and affordable trading fees. Binance has been able to provide the best liquidity while maintaining the lowest fees. Moreover, the exchange has never suffered a major hack. Regulatory arbitrage alone does not “magically get you depth” in your order books or equate to a “robust backend,” she argued. She also offers one more explanation for Binance’s success—innovation. When the exchange started in mid-2017, it was the first to trade NEO gas tokens, long before other industry players managed to do so. This, Wan believes, helped attract the first cohort of investors to Changpeng Zhao’s exchange. Additionally, Wan said that Binance’s management took the initiative to expand its operations during the cryptocurrency crackdown by China’s government, which began in September 2017. According to her assessment, Binance’s current success can be attributed to its excellent customer support service and “real trading depth.” This, at a time when other exchanges have been accused of manipulating trading volumes. There’s nothing wrong with having “centralized trust” in people like Changpeng Zhao, the CEO of Binance, Wan said. Elaborating further on Binance’s business model, Wan argues Binance is not a single, vulnerable, company waiting to get “shut down.” Its operations are divided into many different subsidiaries including Binance Academy, Binance Info, and Binance Launchpad, among others. Binance currently employs around 300 professionals and does not officially have a headquartered office. This, she claims, effectively makes Binance “decentralized.” Furthermore, the exchange has not received substantial VC funding, allowing it to remain more independent. In aggregate, whether a crypto-investor is going short or long on BNB, it seems there are strong arguments for both sides. Binance is the top performing cryptocurrency exchange in the world and those holding BNB may be able to share in the success. Whether other competitors will be able to usurp that position, and thus compromise the value of BNB, is still unresolved. The post Experts argue on whether to go short or long on Binance Coin appeared first on CryptoSlate. Previous: Previous post: Data shows bitcoin most overbought since 2017: parabolic phase or impending crash?